Interested students of film as an art form as distinguished from very popular entertainers are likely to be interested to know who some of the internationally famous film critics, scholars and film directors who sit in judgment to select films at well known international film festivals around the world. Knowing them, their tastes and yardsticks is part of our training in film appreciation. So this week we choose to introduce some of them who were present some of the international film festivals I attended. They include famous film directors too. The Czech Republic in Eastern Europe boasts of a multifaceted artiste in the name of Jiri Menzel. He is not only a film and theatre director but also a reputed actor and script writer. His maiden film made in the late 1960s - Closely Watched Trains - hit the headlines of the world press as an important artistic film from that country. My Sweet Little Village was also one of his best films. But the then Czech Government banned his film Larks on a String. However it was released for public viewing soon after the Government fell during the consequent fall of communist regime. A Polish woman director is Agneiska Holland. She worked under one of the sophisticated filmmakers in Poland-Kryzstaf Zanussi and also one of the greats in world cinema-Andrej Wajda. This artiste became famous in America with her films, Angry Harvest, Europa, Europa and Oliver. The Secret Garden was another of her notable films. She was the excellent scriptwriter for anussi’s trilogy: Three Colours. Some of her other films: Total Eclipse and Washington Square. 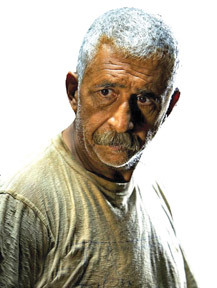 Considered one of the best actors in contemporary cinema is the Indian Naseeruddin Shah. At one time the Hindi cinema boasted of rare talent in acting in the capacities of the late Smith Patel, Shabna Asmi and Om Puri alongside Naseeruddin Shah. An Iranian film-maker Jafar Panahi is reckoned to be influential in making New Wave Iranian Cinema. A leading film critic, Sheila Johnston is the founder journalist of the British newspaper, The Independent but now writes as a freelancer to most high quality British and American press. Her thesis on German filmmaker Reiner Werner Fassbinder is a seminal work. Another leading critic writes in Turkish language we are told, but he is also a documentary film-maker. His name is Cuneyt Cebenoyan. Another non-English film critic is from Andhra Pradesh in India. He writes in Telugu. His name is Anand Varala. He has made documentaries. Another film scholar and literary personality is Australia’s Anne Demy Geroe. She received the Australian Centenary Medal for services to the film industry. Jocelyn Saab born in Beirut, Lebanon writes in French and a documentary film maker. The above were some of the members of the film world who had served as members of the Jury in international film festivals. As far as I know Lankans Ashley Ratna Vibushana and his wife Ranjanee had served as members of jury in international film festivals. There might have been a few others too but I am not sure of the details. In most worldwide International Film Festivals reputed people from the Arts and Literature and artistes are selected or nominated to sit as members of the Jury in International Film Festivals. One of the well known International juror and an authentic scholar on film studies and a literary critic and fine poet in Sinhala is our own Wimal Dissanaike. He has authored many books and is currently writing erudite essays for the Sunday Observer. A heavy subject and an exercise in lingo-philosophy which lesser mortals can understand fully and yet what he says about Antonioni deserves notice. Film Appreciation therefore necessitates reading and knowing many things outside the realm of mere film world but understanding the virtue of multidisciplinary approach in viewing and receiving and commenting on film as an academic Endeavour. But seldom we take a film to critique on academic lines, but are aware of such approaches to understand the film medium as an enjoyable pursuit.